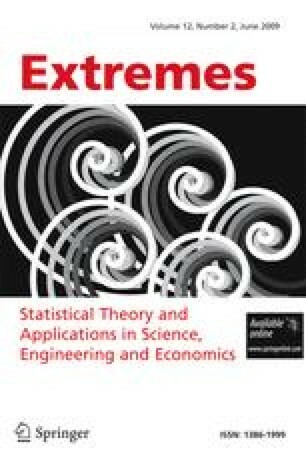 The extremal dependence behavior of t copulas is examined and their extreme value limiting copulas, called the t-EV copulas, are derived explicitly using tail dependence functions. As two special cases, the Hüsler–Reiss and the Marshall–Olkin distributions emerge as limits of the t-EV copula as the degrees of freedom go to infinity and zero respectively. The t copula and its extremal variants attain a wide range in the set of bivariate tail dependence parameters. Supported by NSERC Discovery Grant.